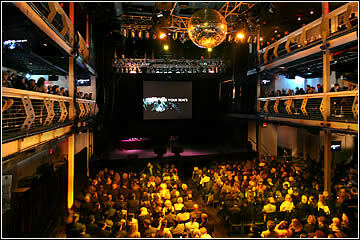 Problem: The Manhattan Music Group, which operates several of New York City’s largest live music venues (including The Bowery Ballroom and The Music Hall of Williamsburg), had leased a large, vacant facility at 610 West 56th Street in Manhattan (now known as Terminal 5). The intent was to create a high quality 3,000+ capacity venue, which required major physical renovation of the structure. Manhattan Music Group was seeking a liquor license for the facility. There was a very serious problem confronting them, since the property had a notorious reputation stemming from the previous occupants’ activities. The local community was rightly concerned about the site, and mobilized to vehemently oppose any effort to open any music venue or permit a liquor license at the site. Tenant associations, property owners, elected officials and other interested parties began to mount a strong fight. Strategy: Capalino+Company realized that the new operator was a complete ‘polar opposite’ from the previous occupant, with professional skills and a strong track record in other neighborhoods. Capalino+Company identified all of the community’s concerns, which included (but were not limited to): addressing each one with a clear response, proving that the new operation would be safe and a benefit to the neighborhood. Some of the issues included, but were not limited to: noise, safety, traffic, trash, overcrowding of local sidewalks, parking, lighting and disrespect from the community. In response, Capalino+Company devised a multipoint plan that addressed each issue, working with the community, and was able to meet everyone’s concerns. This included multiple meetings with groups, individuals, tenant associations, letters and emails, and constant creative solutions to other problems that were of concern to the neighbors. In addition, Capalino+Company worked to resolve a variety of long-standing permit problems and violations at the property. Result: Capalino+Company eliminated concerns that had been raised by the community and elected officials by providing thorough information and anticipating questions. Where legitimate questions were raised, Capalino+Company worked quickly with Manhattan Music Group to create a solution. The Community Board approved the liquor license application, as did the State Liquor Authority.